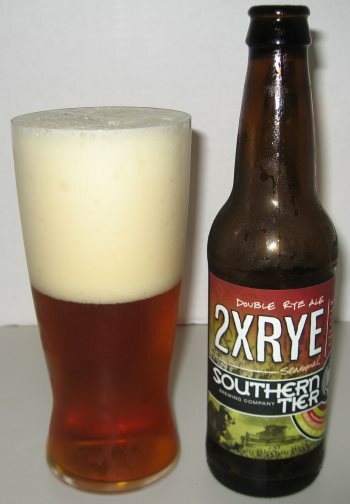 2xRye by New York’s Southern Tier Brewing Company is an autumn seasonal Double Rye India Pale Ale. Decoded, that’s an Imperial IPA made with rye. Now, I love IPAs, and I love Imperial IPAs, and I love rye-based ales, so this was bound to appeal, and it doesn’t disappoint. The nose is citrusy and floral. It has a medium to heavy body that is thick on the tongue. The middle is bursting with orange and pine. The rye becomes clearly evident in the finish, along with lemon and huge amounts of pine. This is a relatively big beer at 8.1% ABV, but there’s really not any booziness to speak of. It’s just a big, rich, flavorful Double IPA with loads of rye. Very, very good, this one. 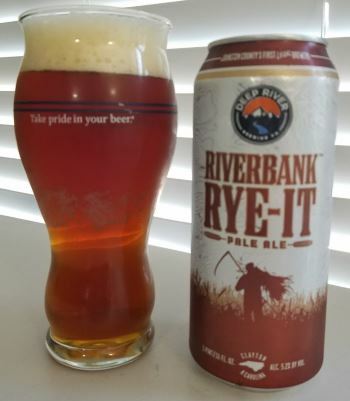 This entry was posted in Reviews and tagged DIPA, Imperial IPA, IPA, New York, Rye Ale, Rye IPA, Southern Tier on October 4, 2013 by Xander.